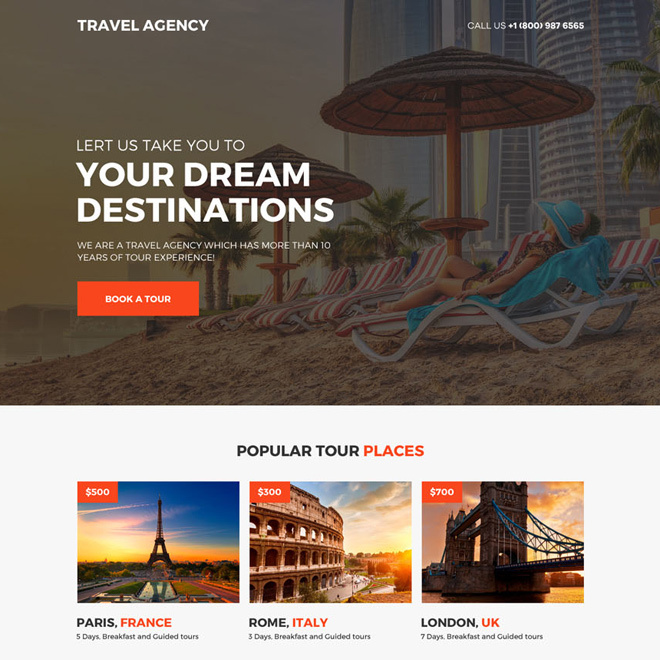 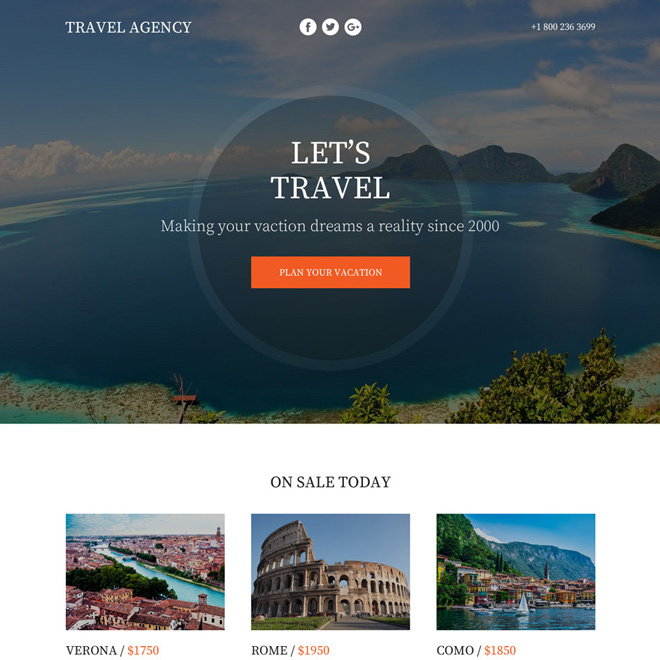 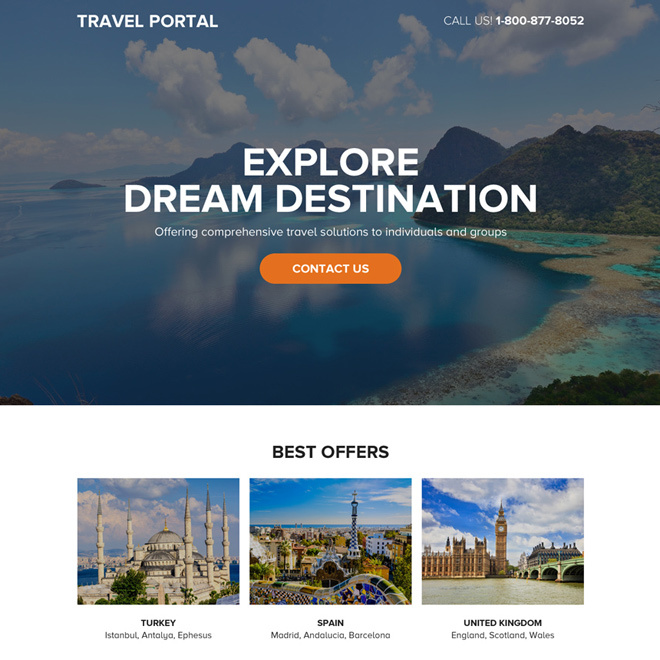 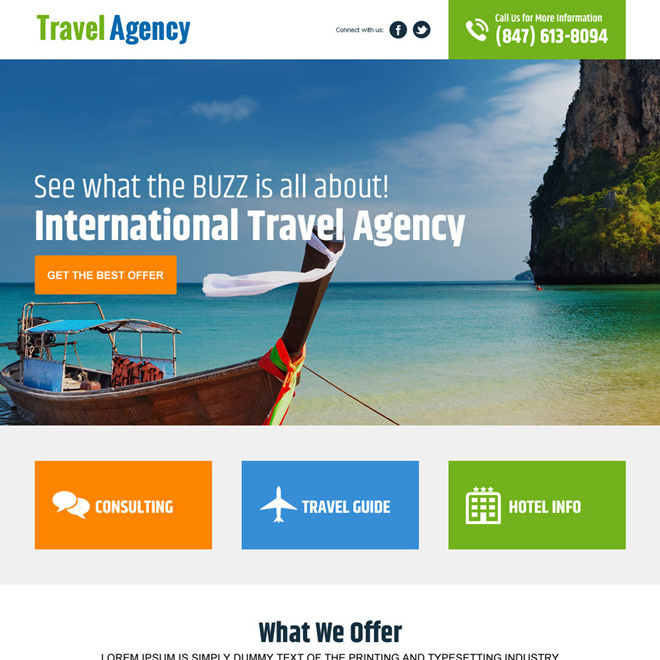 Download responsive travel landing page design templates to boost your travel business with leads, sales and new customer. 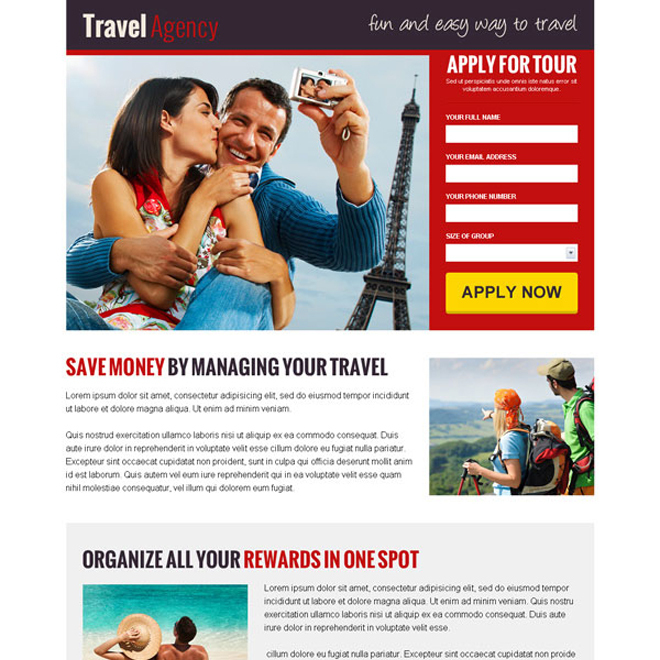 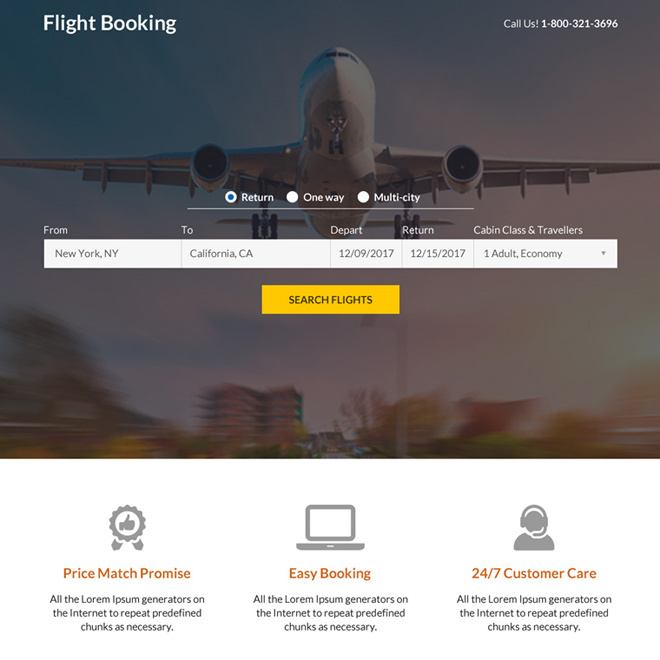 Our conversion centered responsive travel landing page design will capture leads to boost your business with new customer. 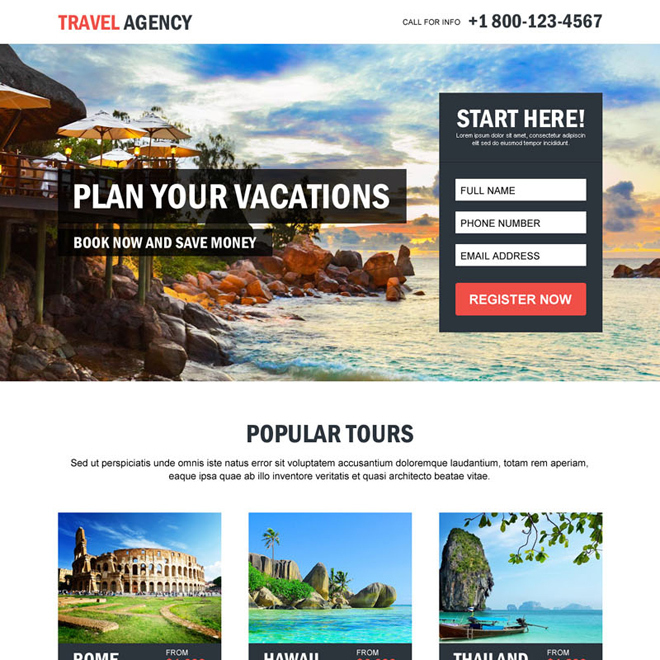 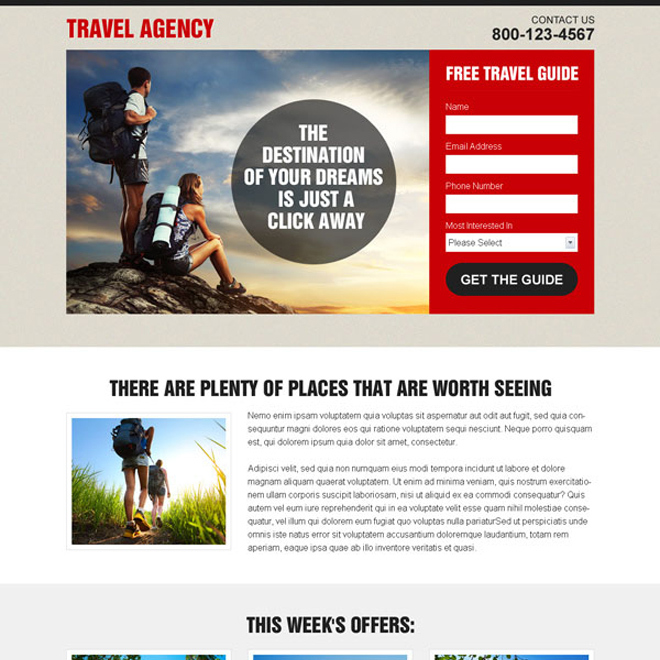 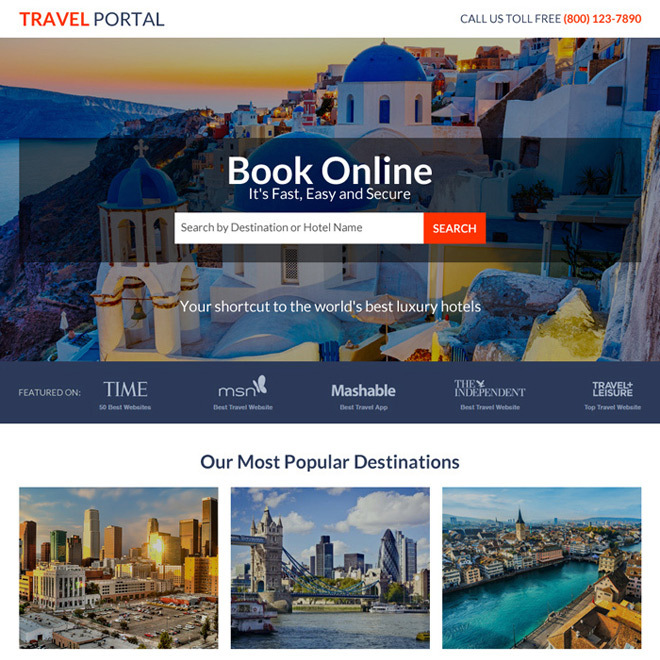 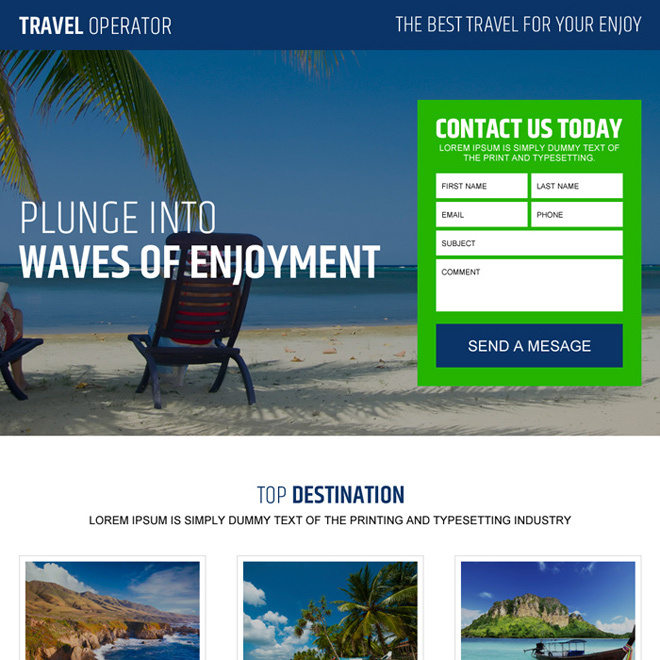 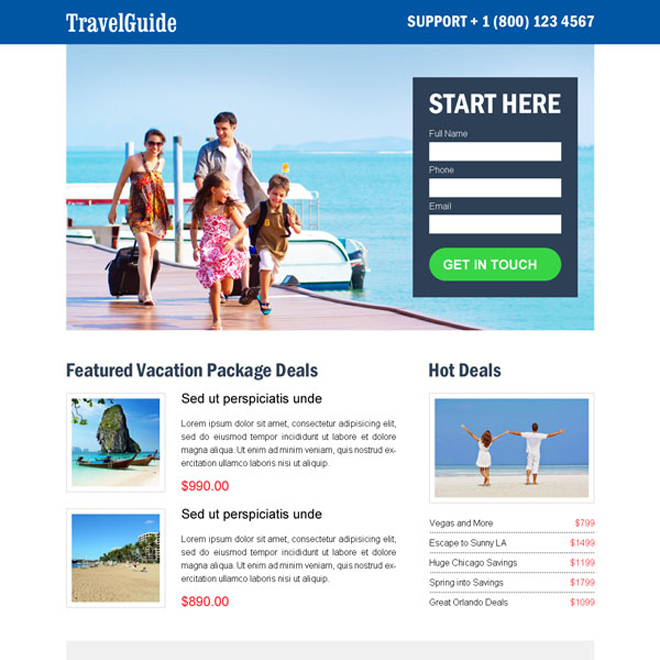 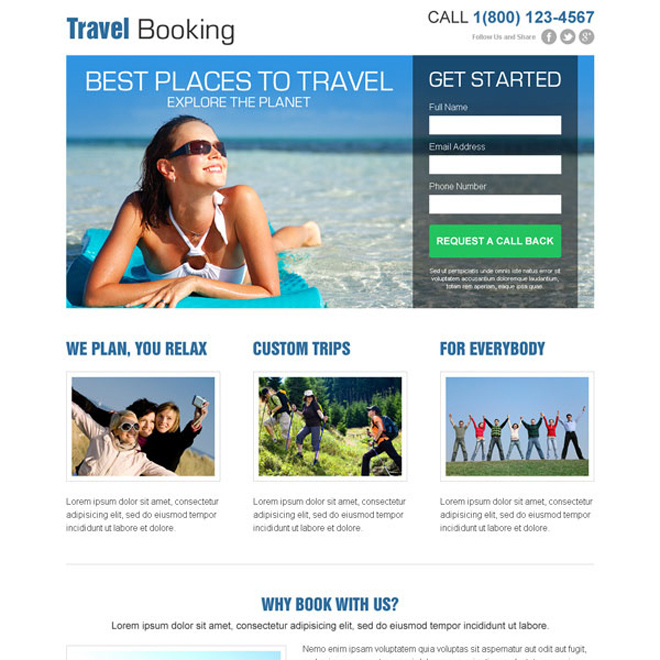 Promote your existing travel website with our call to action best responsive travel landing page design templates.